Blackwald Pixie power creep. Nuff Said. Easily one of the best cards in the game. 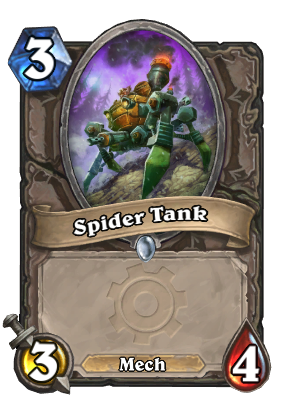 Spider Tank, Spider Tank, does whatever a Spider Tank does. Will be seen in a lot of midrange decks, I think paladin needed a card like this.